Switch from the car to the YOYO+ Pushchair with one click (car seat adaptors sold separately). The YOYO+ is, more than ever before, the urban pushchair for parents on the move. By using the newborn pack (included with this package option) you can use the BABYZEN YOYO+ from birth; your little cherry-pie will lie completely flat in the nest carrycot (86 x 44 cm), facing you at all times. The BABYZEN YOYO+ carrycot comes with a 5-point safety harness, a 2-position pop up canopy, a foot cover and a headrest. From 6+ months, use the same frame, remove the 0+ newborn fabrics and replace with the 6+ fabrics to turn your stroller into a front-facing pushchair that can be used until your little pudding is 18kg. Without a shadow of a doubt, the BABYZEN YOYO+ makes a life with kids easier. Be a "zen" parent! Why should I buy the BABYZEN YOYO+ Pushchair Black Chassis with Newborn and 6+ Colour Pack? 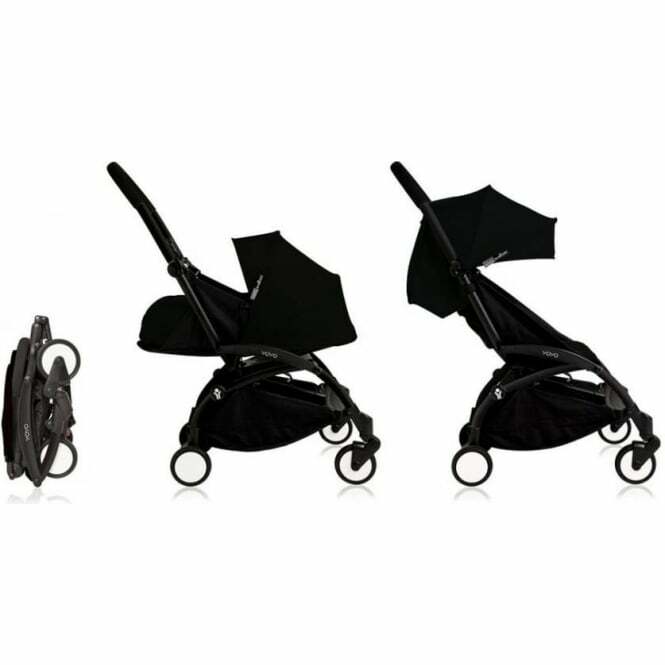 What is included in my BABYZEN YOYO+ Pushchair Black Chassis with Newborn and 6+ Colour Pack? 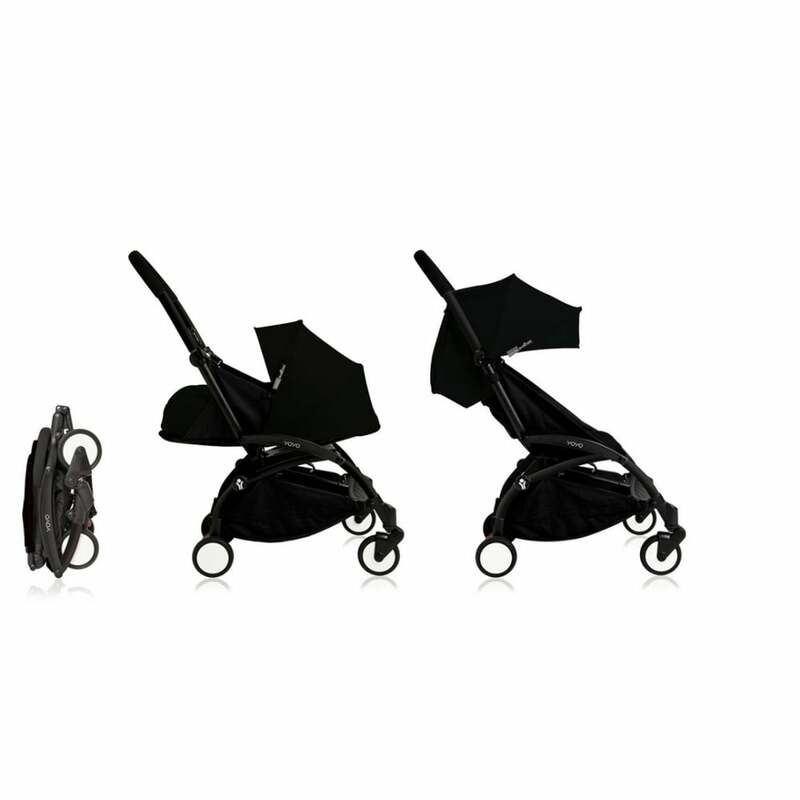 You receive a YOYO+ Pushchair (black chassis with seat base and 6+ colour pack) and a Newborn Pack (Nest and colour pack). Do I get a manufacturer’s warranty for the BABYZEN YOYO+ Pushchair Black Chassis with Newborn and 6+ Colour Pack? Showing our 3 BABYZEN YOYO+ Pushchair Black Chassis with Newborn and 6+ Colour Pack reviews with an average rating of Excellent. Would you like to write a review? Your Review - It's really pretty! Easy to use. I bought it for travelling. As I needed a buggy for a child who doesn't sit yet, it's the only one I could find on the market that folds also with the newborn seat (yoyo 0+). Other lightweight buggies have a separate basket for newborns but you can't fold them. So far I'm very happy with my purchase and the delivery was pleasantely fast. Definitely recommend to anyone, not just those looking for a small folding buggy. I purchased this mainly because of how small it folded, but since using it I've found it so nice to use and push, it's not heavy at all and it does everything that bigger buggies do. We brought this new model as we had the older version and noticed that this newer model could hold a car seat - which is what we needed as our second child has just been born. It's easy to push and folds up extremely small. Couldn't have found a more perfect buggy for our family.